"processing": "($value / 1023) * 5"
boolean Enable the receiving of 433mhz rf signals? integer The Arduino interrupt pin, the 433 MHz receiver is connected to. integer The Arduino digital pin, the 433 MHz transmitter is connected to. 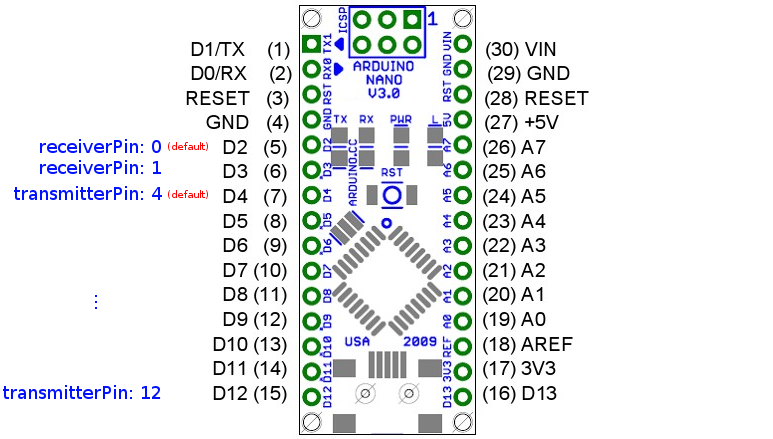 boolean Enable support for DS18B20 sensors, appropriate homeduino version must be used. 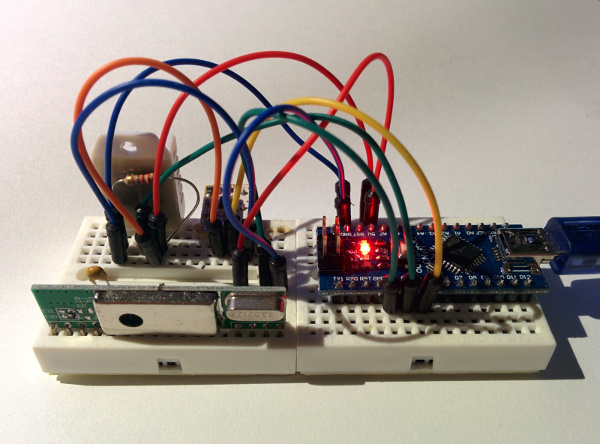 integer The Arduino digital pin to search for DS18B20 sensors on. integer The digital pin, the DHT sensor is connected to. integer The digital pin the DST sensor is connected to. array of objects The switch protocols to use. array of objects The dimmer protocols to use. array of objects The protocols to use. integer Time after that the contact state is reseted. boolean Invert open/close state of contact device. string Name for the attribute. integer The type of this attribute in the rf message. integer Time until the pin is read again. string expression that can preprocess the value, $value is a placeholder for the analog value itself. integer Time after that the presence value is reset to absent.